Get ready for the end of the year with these awesome camps! Parents, we’ll be real with you. There’s two months left in 2018. The end of year holiday camps are getting booked up. Fast. And we certainly don’t want to be stuck indoors with the kids on a rainy day so we’ve pulled together all of our camp favourites with some new, cool ones for you to keep the kiddos happy during end-of-year school holidays. You’re welcome. More camps are being added all the time so stay tuned! 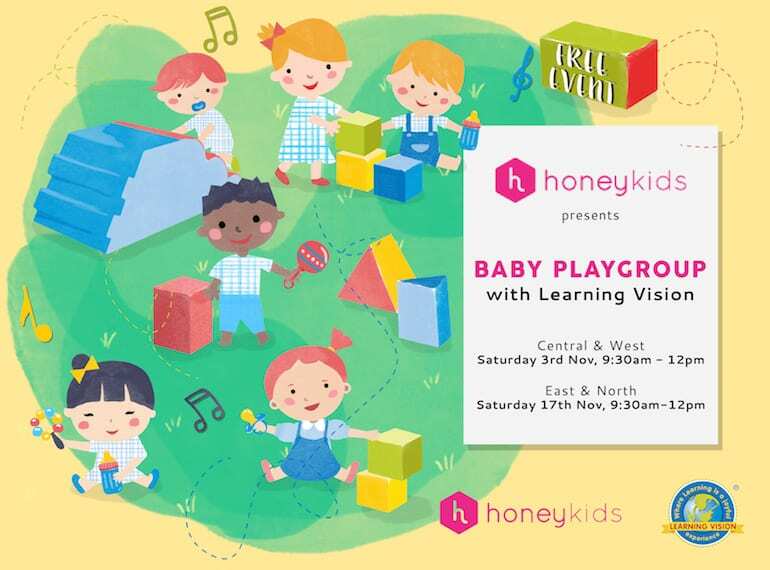 You're invited to the HoneyKids Playgroup with Learning Vision! Time for Baby Play on a Saturday! 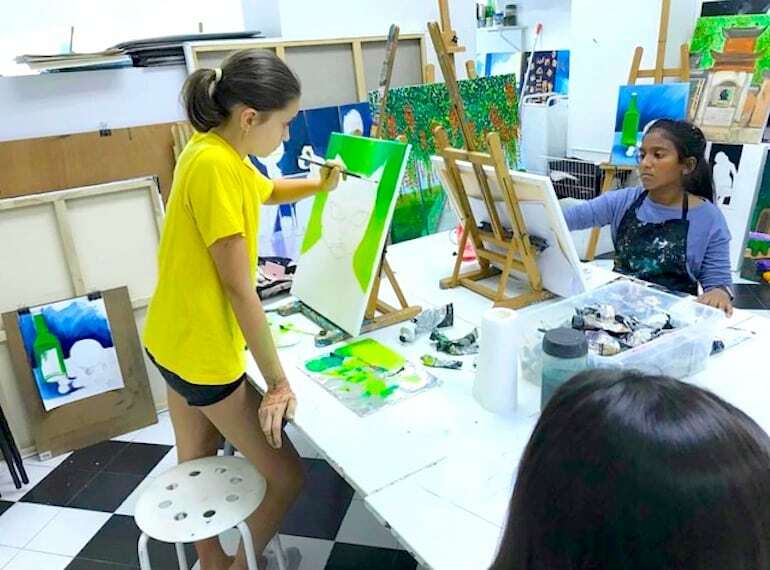 Offering holiday programmes all year round for both local and international school holidays, ARThaus is just the thing to liven up a rainy day. Whether they’re just painting, drawing, or exploring different mediums, kids are guaranteed to have a blast expressing their creativity. You can even join in the fun and create a real acrylic masterpiece alongside your child. Try out a free trial and see for yourself! It’s not just GEMS Holiday Academy, it’s GEMS Christmas Academy! Kids aged four to 17 years old can expect a jolly holiday filled with Christmas adventures from nerf battles to festive candle-making and even candy coloured science experiments. Pick your fave activities and get ready to have some fun. Top up for bus and food fees. School’s out and SOMOS Summer Camp is back for its Nov/Dec edition. This 21st-century themed camp is bringing more opportunities for kids aged six to 12 years old to pick up useful skillsets to prepare them for the future. There’s two types of camps to sign up to: pick the Day Camps (Techie or Design Camp) to focus on either Left or Right Brain development through activities like robotics or clay arts and entrepreneurship, or head to the five-Day Camp (Discovery Camp) to try out activities including cooking and basketball for whole brain development. SOMOS is just the carefully curated camp the kids will love to have fun at while discovering their talents, achieving their learning objectives and even snagging a special SOMOS Summer Camp certificate at the end. Psst, we bagged all our lovely readers a 15% discount, just enter the Honeykids15 and sign those little campers up! We all love our Roald Dahl books for how rife with imagination and creativity they are. And Repton Schoolhouse is bringing these stories to life in three day workshops. Join in the fun and explore some of your favourite stories. Suitable for kids aged four to seven years old. The Grandstand has you covered this holiday season with its annual two-day holiday camp for kids ages three to 12 years. 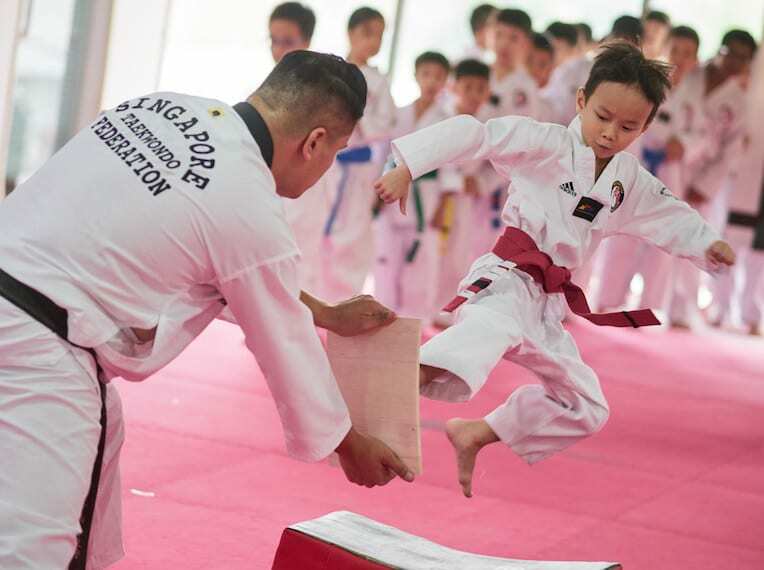 Kids can try out a multitude of different activities per day from taekwondo and Lego building to drum lessons and language classes, gymnastics and cooking – all in one day! Reserve your spot by 18 November and choose one of the two dates for each age category. Worried about feeding your little snack monsters? The camp includes lunch as well as a goodie bag packed with awesome treats from your Grandstand faves. If you’ve been along to our International School Fair, you know these guys can throw an awesome art activity. And if you turn that into a camp? We’re there. Kids aged four to 13 years old have tons to look forward to from this themed-camp of arts, food, nature, sports and DIY projects. Plus, lunch catered from catered from Little House of Dreams is included, along with a fab goody bag. If the little ones have a passion for art, they can head to Art Grain to improve their skills. Suitable for beginners and experienced artists, all classes including the preschool classes, are parent-free drop-off classes. Whether your kid loves drawing scenery, comics or their favourite idols, there’s something to suit every fancy. Have the kids step away from the stress of school and exams and regain some inner peace at The Open Centre. These five day camps are filled with wholesome activities like nature walks, yoga, arts, horse grooming and riding, and pet therapy. Suitable for kids aged six to 12 years, they’ll learn how to manage stressful situations, collaborate with others and regulate emotions. Look forward to the all-new themed holiday camp this December where kids will enjoy a BBQ, games, theatre and have a chance to sleepover. Trapped indoors during a rainy day, Polly Piper is bored beyond belief and wishes she was ‘anywhere but here’. She gets her wish granted in the most unconventional way – she becomes a detective solving Nursery Rhyme crimes! Kids aged four to 12 years will get to join in on the fun in the Kingdom of Miny Moe, meet new friends, solve puzzles and save the kingdom. At the end of this week of non-stop drama, watch the curtain rise on your little actors in the final presentation. 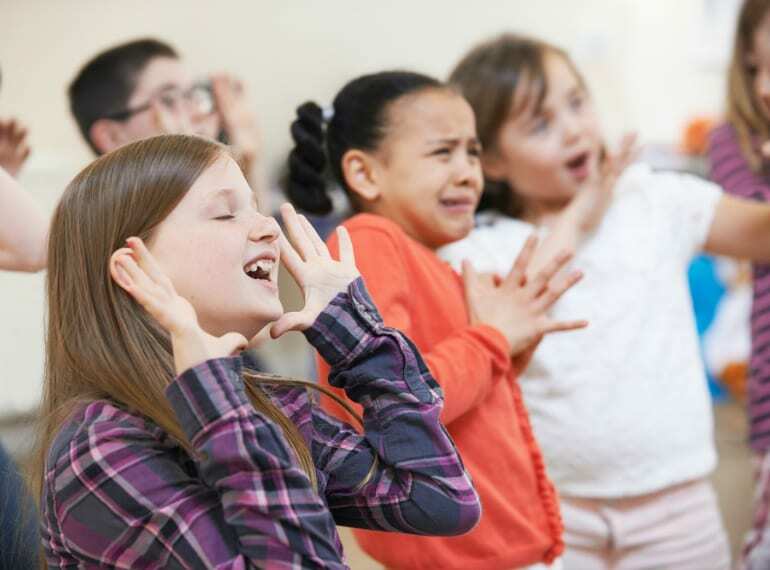 Working together with experienced drama facilitators, the kids will experience different opportunities to practice drama skills, use their imagination and creativity, play theatre games and make new friends, all while developing confidence and improving communication! Get those drama kings and drama queens to the theatre for a lesson in acting and fun. ACT 3 Drama Academy’s Elves and the Shoe Makers is just the thing for kids aged seven months to 15 years old. With six workshops of Christmassy fun, expect laughter, songs, acting and storytelling for five-day workshops or just sign up for one session and enjoy the performances. Team up with bubba and take part in a parent-child accompanied workshop. There’s even a horror comedy for the teens in A Zombie Christmas Carol (if you think about it, it is apt since Christ is technically a zombie). Pack in that sleeping bag and send the kids off to spend the night in the museum. Delve into the world of beloved childhood fave The Little Prince and learn about his adventures and characters in this overnight camp. Of course, there will be exciting activities, competitions and opportunities for kids to learn about the world – through stamps! Suitable for kids aged seven to 12 years old. 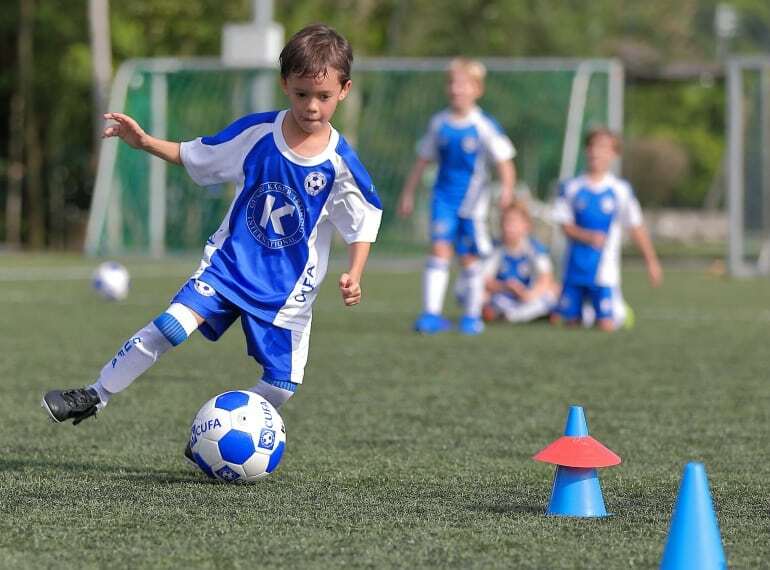 Whether the kids are looking to spruce up their footie skills or start from scratch, they’ll be able to bend it like Beckham under the guidance of professional players. Perfect for girls and boys aged 5 to 12 years old, CUFA promises all of the fun and none of the sunburn as camps and classes are conducted in sun-smart indoor pitches and air conditioned halls. UWCSEA is offering a real variety of sports from now until December. We’re talking gymnastics, tennis, cricket, badminton, basketball, football and even climbing! It’s all kicking off this October so sign up quick! 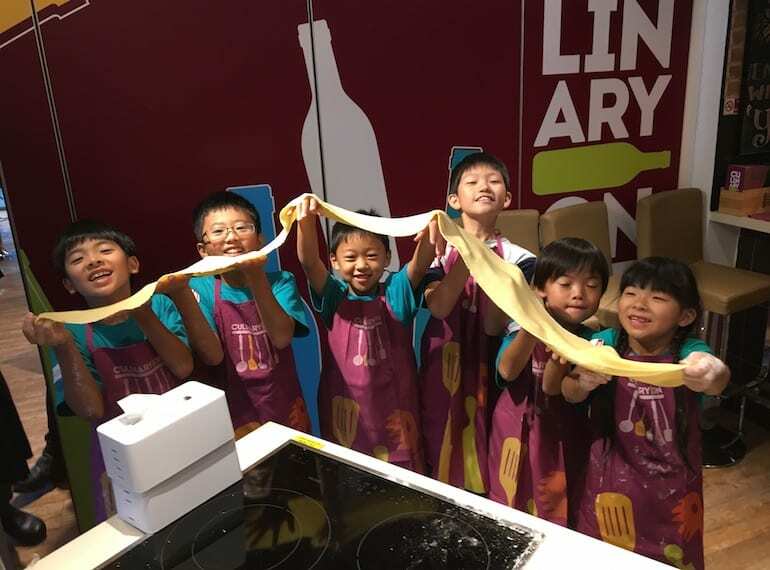 This high-energy camp for kids aged 3.5 to 12 years doesn’t just have sport activities galore, there’s also plenty of chances for kiddos to make new friends, take part in treasure hunts, arts and crafts and best of all, have fun. Take indoor play to the next level at HomeTeamNS Zoom Camp. Great for little ones aged six to 12 years, they’ll have a blast challenging themselves to scale new heights (literally!) at the 8m-high walls at Clip ‘n Climb, competing in teams for Laser Quest and playing to their hearts content at the transport-themed indoor playground, T-Play. Of course there’ll be plenty of other activities like arts and crafts, baking classes, experiments and tele-matches and enough fun packed into these two full days to satisfy any kid. Equipped with its failproof schedule of nonstop fun, Shaws Little League’s regular offering of holiday camps are happening this November to December at Kallang and Bukit Timah. Expect sports activities, cooking, arts and craft and a tuckered out tot at the end of the day. If the kids can’t get enough of bouncing off the walls, then send them to Tramp Camp. 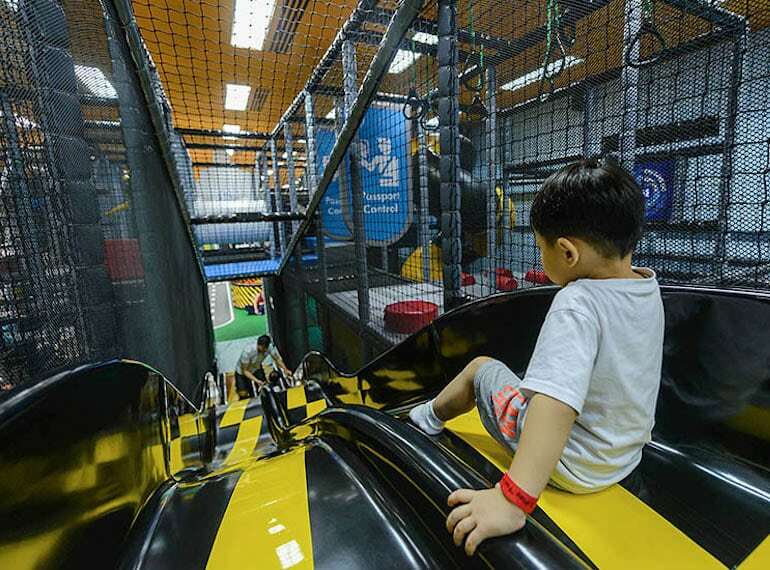 With all the fun of trampoline parks rolled into three days, Tramp Camp is designed just for kids three years and up. It’s three days of ricocheting off trampolines, launching themselves into giant airbags and getting all tuckered out by the time you get there (because no parents are allowed). How about an action-packed multi sports camp at Centaurs? Kids will get to tackle every kind of sport from soccer and handball to touch rugby, rock climbing, wakeboarding, paintballing and more, including excursions to activity courses. 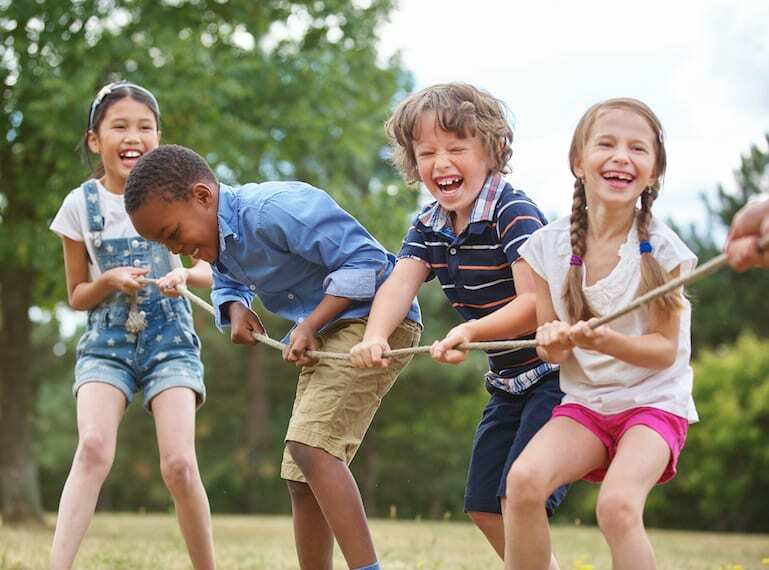 If that’s not enough, there’s mini olympics and challenges to really get those kids tired out! This November and December there’s over 200 workshops and camps for kids aged five to 16 years. 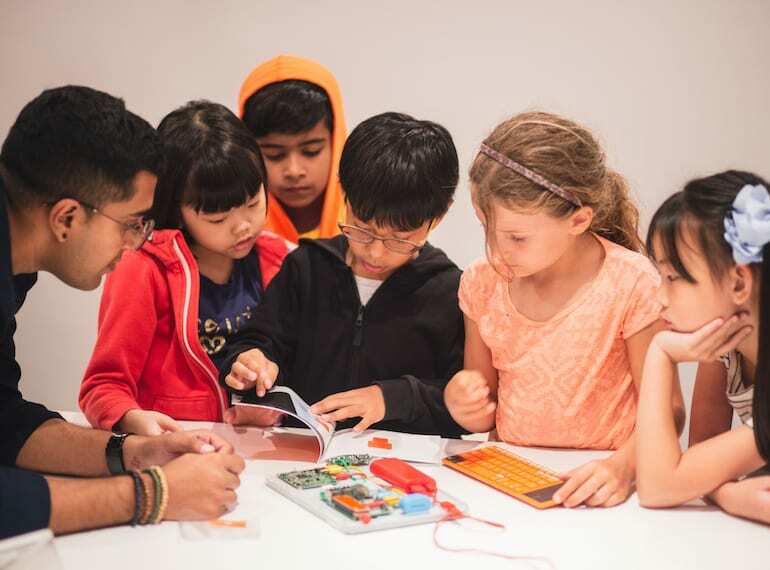 Kids can choose between 5-day camps or 3-hour workshops and express themselves through age-appropriate coding activities from Scratch Jr and pixel keychains to tinkering with Raspberry pi-tops, robot dinosaurs, mobile apps and even programming Mars Rover simulator. Not sure where to start? Check out this handy guide. Plus, North-easters rejoice! Saturday Kids is bringing its camps to Hougang, Project Central at The Midtown! Newton Show is offering four themed camps from now until the end of the year. The archaeology camps are great for history buffs who want to take a trip back through time and discover the origins of all things from your family tree to the planets. Or dive into the science of magic in Harry Potter science, get building in Hand and Brain and explore different cultures through science in Multi-national Science. If your little ones crave life on the wild side, they’ll have the chance to get a real behind the scenes look at life at the Singapore Zoo. Step into the boots of animals keepers, explore the zoo and get up close and personal with its inhabitants at these one-of-a-kind camps. Or bundle up with the bub and sleep with the beasts in a camping trip that’s not sure to be a blast! Get scienc-y with the kids at Tinker Technique. These parent-child workshops will let the kids aged nine to 12 years code and build their own machines using the Micro:bit. At the end of the session, they’ll have the satisfaction of being able to bring their invention home. Definitely one to pass off to the husband for some father-child bonding. Discover just how innovative the ancient Greeks were at “Athena’s Odyssey”. Travel back in time with the kids to learn about the inventions of ancient Greeks and how they inspired modern day inventions. They’ll be able to learn new science concepts and create their own little inventions and simple machines. Suitable for 10 to 12 year olds. Cost: $170 per parent-child pair, $85 per additional person. Who says coding isn’t creative? 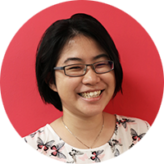 Apart from problem-solving, Coding Lab’s preschool coding programme will be teaching kids how to code using some of our faves stories like The Very Hungry Caterpillar and act out and animate iconic scenes from the books. Set in one of our favourite co-working spaces, this camp will cover reading, drama, crafting, and even tinkering for techie kids with minimal screen time. Rediscover the fun in STEM this holiday with cool science and engineering camps. There’s tinkering projects and hands-on experiments to look forward to in everything from crime-solving to dinosaur discovery, archaeology, photography and of course, coding. Zoom into space, learn the ins and outs of Lego Animation using programs like TinkerCAD and MakerBot Replicator 3D printers and more in these two to three day camps packed with plenty of adventure and science. If you like building and creating, why not take it one step further and find out how to start your own enterprise? With five day camps dedicated to everything from coding and design to finances, entrepreneurship and even a mini-MBA, kids will be able to get a head start on setting up their own mini company. They’ll even have a chance to attend a Young Founders Summit and win cash prizes. This camp is just the thing for green thumbs. Set in the luscious greenery of Bukit Timah Nature Reserve, spend a whole day getting to know the forests through nature walks, games, hands on activities and learn just what it takes to conserve our natural environment and heritage. For kids aged seven to 11 years. Fancy a more wallet-friendly alternative this holiday season? onePA has a range of different camps for kids in community centres across Singapore with prices starting from $10. Get booking because slots are snapped up quick! Book your festive buffets for Christmas now!